Join us for an exciting day that will empower you to tackle challenges. 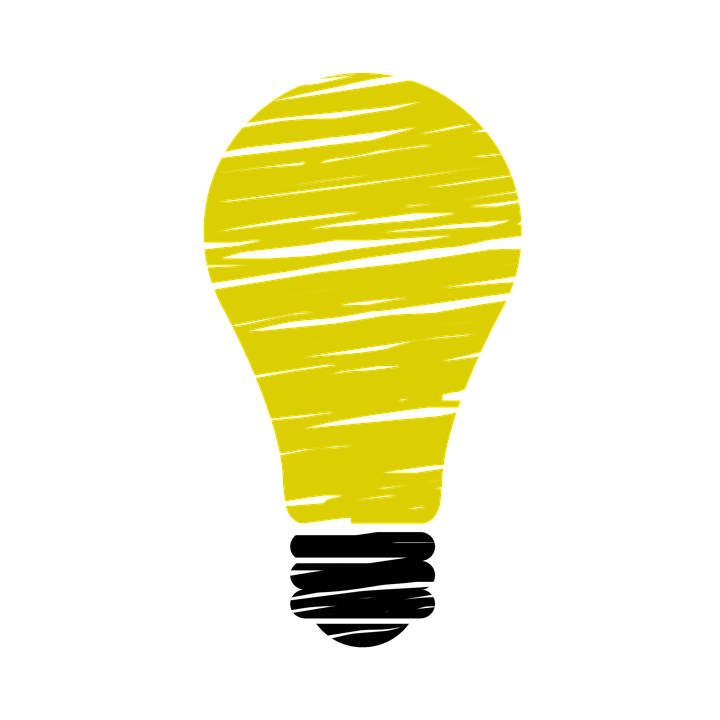 From space planning in all corners of the library to redesigning services and staffing, design thinking will allow you and your staff to unleash your ingenuity and solve problems. With support from the Bill and Melinda Gates Foundation and in partnership with Chicago Public Library, this full-day introductory workshop draws upon the toolkit developed by IDEO, an award-winning, human-centered global design firm, to help libraries use design thinking to better understand and service library patrons. 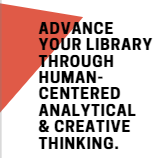 The program will take a step-by-step approach to guide you through the process of understanding design thinking, so you can put it into practice at your library. This workshop fulfills the organizational management continuing education requirement for the State of Illinois FY2020 Per Capita Grant. Attendees must register by May 27, 2019. Please sign up for ONE day—Wednesday, June 12, OR Thursday, June 13. Want a printed copy of the information? 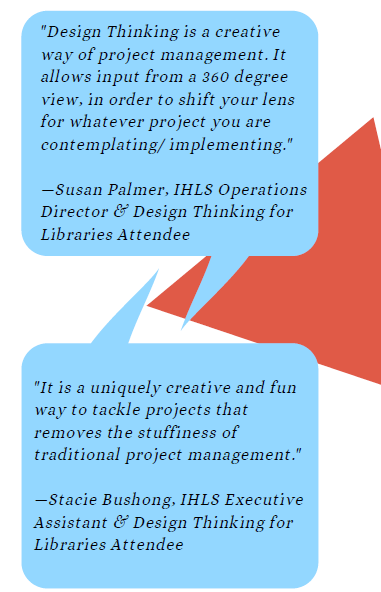 Download the Design Thinking for Libraries flyer. Sasha Neri has spent 20 years in public libraries. 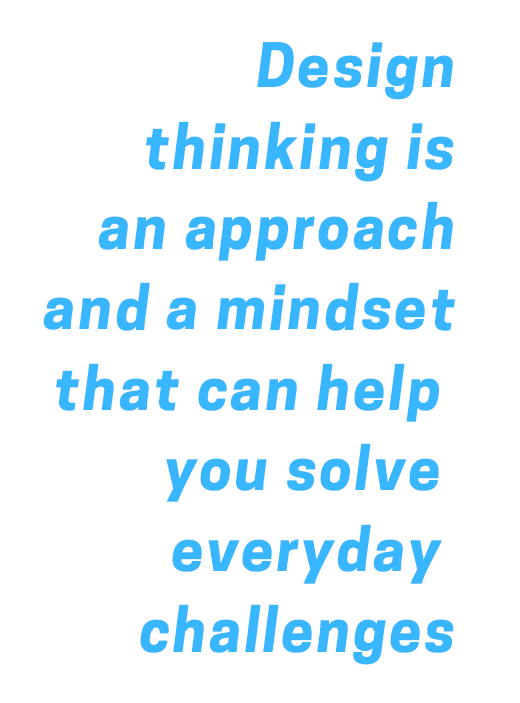 As part of the inaugural design thinking cohort at Chicago Public Library (CPL), design thinking transformed the way she looks at documenting and sharing learning and experiences for understanding and meaning. She has been an integral part of CPL’s Maker Lab, creating user-friendly introductions to digital design and fabrication for adults of all skill levels. Currently, in Adult Services, she holds an MLIS from Dominican University and is pursuing a Master of Science in Information Design and Strategy from Northwestern University. She is an art and design enthusiast inspired by pop art, greenery, the open road, and space rock. Diane Marshbank Murphy is the Director of Employee Engagement and Special Projects at Chicago Public Library where she works with staff and other stakeholders to find creative service solutions using human-centered design. After 12 years as the Director of Acquisitions at CPL, she transitioned to this new role after leading the team that developed CPL’s award-winning Maker Lab. With a Master’s degree in Public Services from DePaul University, she has worked for the City of Chicago for 28 years for various innovative programs to support environmental and economic development in Chicago’s communities.